This is a sponsored post for Salonpas. All opinions are my own. Have you ever done something to hurt your muscles and you weren’t sure how to help? Treating sore muscles comes down to finding what works for you. I enjoy running around and playing with my kids, but this doesn’t always turn out like I want it to, muscle wise. If you need your sore muscles treated, like I do from time to time, then check out these tips. One of my favorite ways to treat a sore muscle is by taking a long hot bath. The very warm water helps to relax my sore muscles for the time being. It’s not an instant fix, but it does help to relax my muscles enough that I can relax enough to fall asleep. We live in a “go” society where no one takes time to rest. However, resting muscles is a great way to treat them. Take some time to sit down and rest. Rest is a great thing for your body as it helps your body recuperate. Even when you may feel as though you don’t need it, it can be a great thing for your muscles. If you can reach the sore muscles, feel free to massage them yourself. You may also have to recruit someone to help you massage the sore muscles. Try to relax as they gently massage the sore spot. The key to using a massage to help treat sore muscles is that you need to be gentle. You can’t massage roughly as this will make the sore muscles even worse. One of my favorite ways to treat sore muscles is with Salonpas Lidocaine Plus Cream. This cream has helped relieve muscle pain in my neck, back, and shoulders. When my elbows and knees hurt, this is my go to cream as well. If you have heard of Salonpas, you know how great of a product it is. It’s a non-greasy formula that helps treat sore muscles in an effective way. 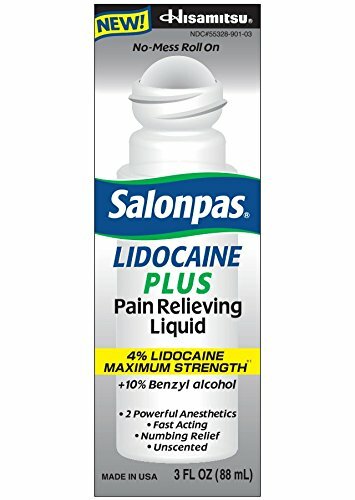 When you need something quick, painless, and that works, you need Salonpas Lidocaine Plus Roll-On Liquid products. I love the roll-on products because it’s something I can carry around with me, on the go. If I’m feeling muscle pain or cramps, while I’m out and about, this does the trick. 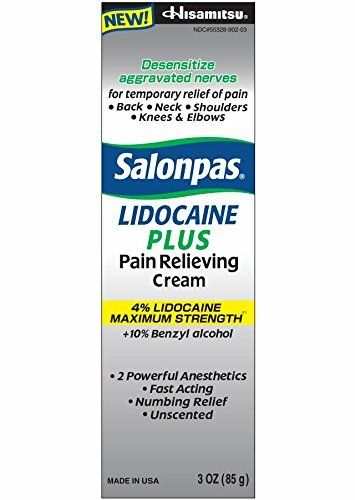 I’ve had great success with Salonpas Lidocaine Plus products, so I partnered with them to giveaway some products to one lucky reader. Good luck!